The media systematically show us examples of the persistence of discriminatory situations for women such as the gender wage gap, the lack of women in managerial positions and the violence towards women, among other things. These situations are a result of our social construct which is still based on an androcentric model where man is placed at the centre, as a reference of values and of the view of the world while at the same time subordinating women and rendering them invisible. Taking advantage of the fact that today is March 8, International Women’s Day, we would like to review and reflect on how we are tackling this reality with the Government of Catalonia’s public policies. The evolution of the concept of equality has run parallel to the evolution of strategies for intervention by public administrations. The first programmes of policies for women were centred on guaranteeing equal rights and on the absence of discrimination between men and women. Later, once the shortcomings of this concept had been verified, new measures for positive action were introduced to guarantee equal opportunities. More recently, gender mainstreaming has been introduced and prioritised. Gender mainstreaming is a concept that arose in Sweden in the early nineties of last century to promote policies for women and was incorporated in the international agenda within the framework of the 1995 Fourth World Conference on Women held in Beijing. The inclusion of this strategy to develop policies for women was a turning point. Gender mainstreaming in the area of the Catalan Government requires the incorporation of the gender perspective in all policies and the promotion of specific actions in favour of women from the different areas of Government Administration. 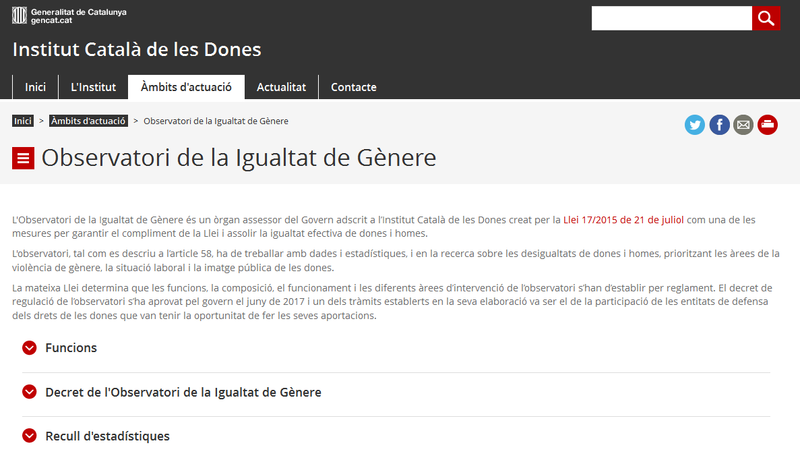 This is the framework within which work is being done at present by the Government of Catalonia. 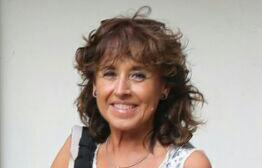 The Department of Health has taken part in the six programmes led by the Catalan Women’s Institute and also in elaborating the four reports on gender mainstreaming. On the other hand, the drive and implementation of measures and actions linked to gender policies in the Department of Health takes place within the framework of the Work Group for gender mainstreaming. This group is made up of people of reference from all the units and entities of the department, including the Agency for Health Quality and Assessment of Catalonia (AQuAS), and it is coordinated by the Technical Cabinet of the General Secretary. 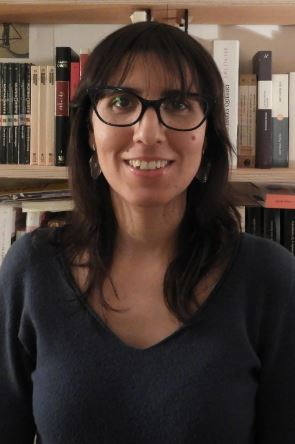 Among the most noteworthy aspects of the Law of Equality (2015) is the regulation of interdepartmental bodies for coordination, in charge of applying gender mainstreaming both consultative and advisory in nature, and also of implementing mechanisms of collaboration, cooperation, control and sanction. Via this Law, the creation of the Observatory for Gender Equality was foreseen, a body which began functioning last June and of which the AQuAS forms a part of. Despite the progress made, a lot of work remains to be done which we need to do together, not only as a legal obligation but also as a commitment to building a fairer society. No policy is neutral, and it affects men and women in different ways and this is why it is essential for us to put on our “gender glasses” during our daily tasks to identify possible differences so as to deal with them. As you all know, dealing with gender is one of the editorial lines of the blog AQuAS (with posts written by Mercè Piqueras, Esther Vizcaino and Dolores Ruiz Muñoz) and we will be delving deeper into this subject shortly within the framework of the activity done at the AQuAS. Post written by Iria Caamiña. 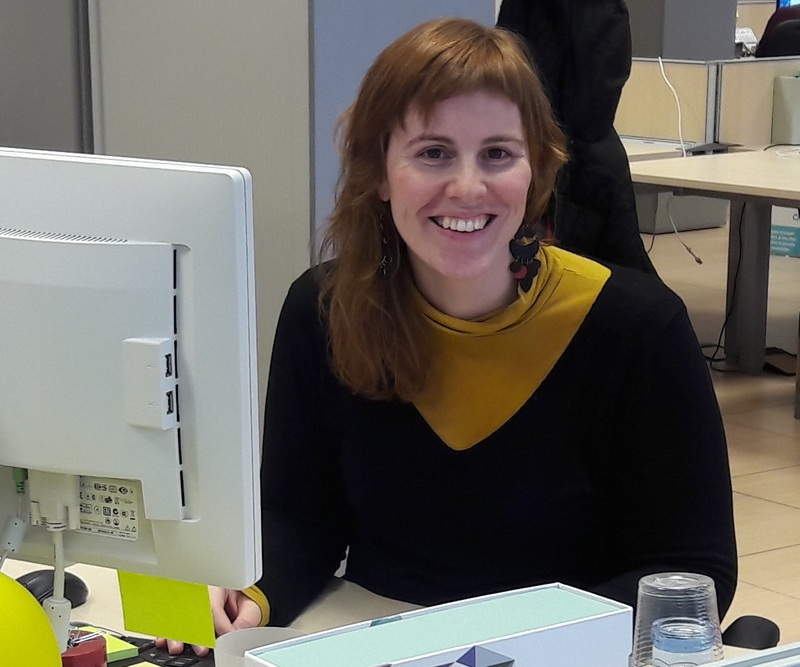 Clàudia Pardo, a consultant of open innovation at Induct accompanies and helps entities in the health sector to adapt to the new needs of the future. 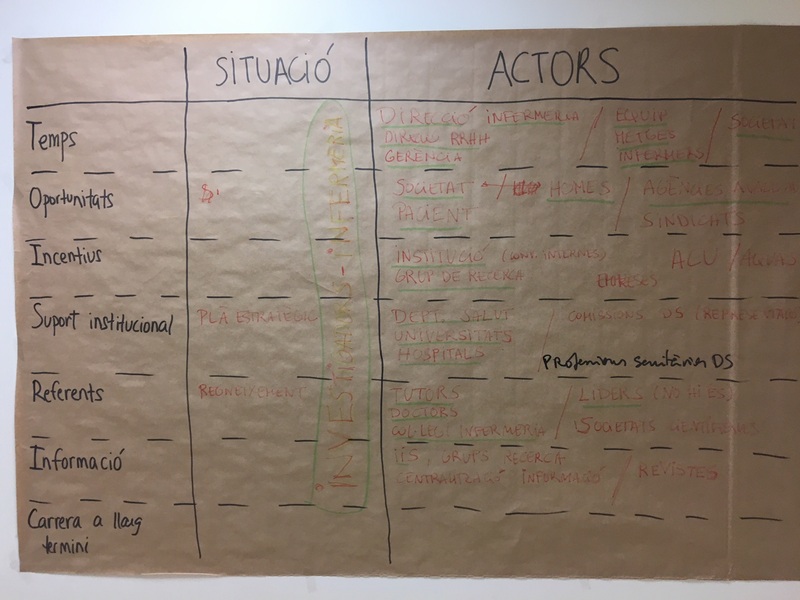 Clàudia Pardo, together with Dolors Benítez, led the first edition of Innovate and Assess (see the previous post), a training programme of the Observatory of Innovation in Healthcare Management in Catalonia (OIGS). 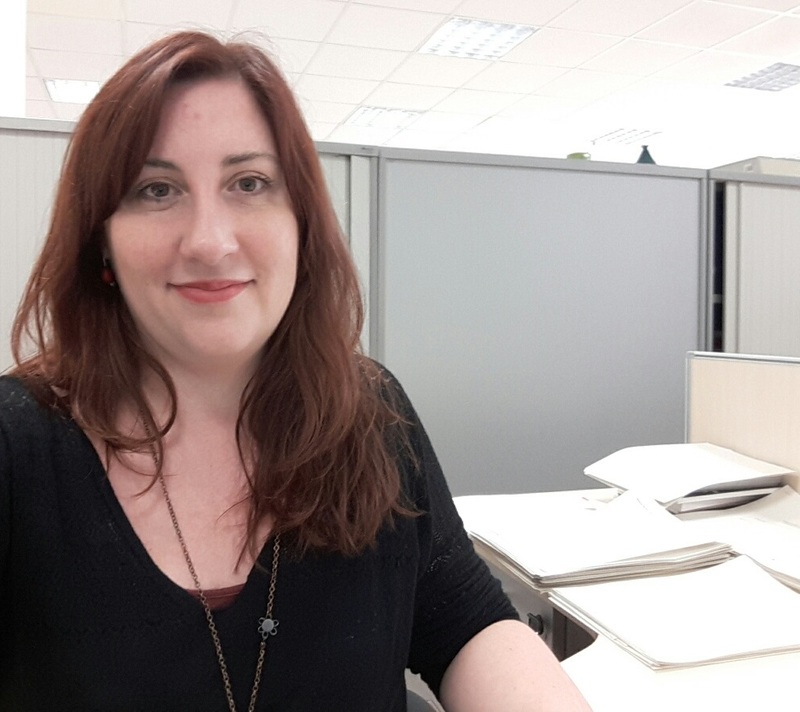 This is why today we offer you an interview in which Clàudia Pardo of Induct talks to Francesca Moya, a specialist doctor in rheumatology, at present the Director of Processes and Quality in the Area of Healthcare in Mútua de Terrassa. We would like to share her experience at the OIGS in the context of the Innovate and Assess workshop because we feel that it could be of use to many other professionals. What would you highlight about the OIGS in terms of assessing innovation? The observatory has been an important lever in introducing the concept of innovation in micromanagement and healthcare practices among professionals and management teams. Personally, the OIGS has given me the necessary methodology and support to identify potential innovative practices and to introduce assessment in the project development process of projects that professionals themselves propose. It has also allowed me to get to know the experiences of other centres, to learn from this and to encourage relationships between other professionals. In your opinion, why is assessing innovation in healthcare practices important? The only way to quantify a clinical or organisational improvement that has been put into practice is to assess it. We learnt this during this OIGS course. 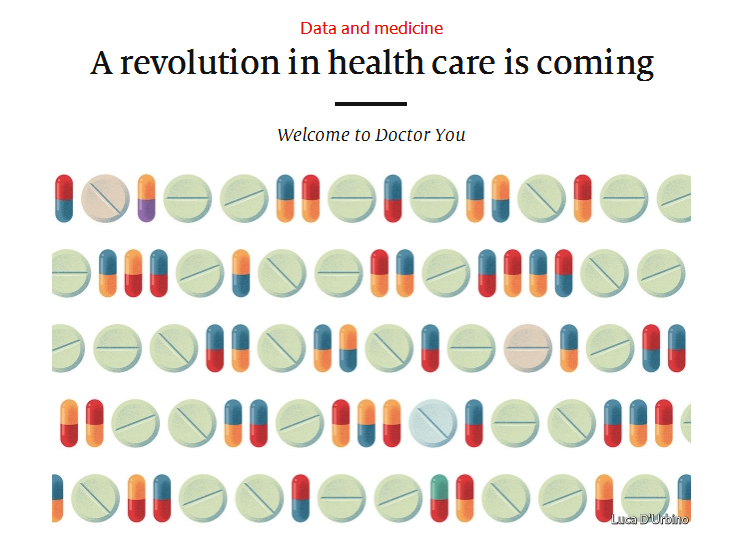 The scientific interest that professionals have in innovation, with the aim of including new practices or technologies to bring us closer to an improved healthcare, can sometimes mean that certain resources are assigned to practices which do not provide any value and this can have a high cost, not only economic but also of opportunity and lead to inequality in the system. How did the need arise to start assessing good practices in healthcare in your centre? Innovation in healthcare practices is necessary if they are to be improved, and assessing it is essential to quantify improvements. I would say that the need to assess arose out of the curiosity and need to know whether what we are doing, including the novelties that we implement and the resources of all types that we assign, are in any way relevant to our clients and to the organisation. But there is another important aspect which encouraged and motivated us, by no means a minor one; giving visibility to everything we do and sharing it all as well as acknowledging the efforts and contributions of the professionals who make it possible to improve the health system. The OIGS is a tool aimed at facilitating the entire process. What advice would you give when incorporating assessment in innovation? In my experience, I think the first thing to consider when wanting to assess what is being done is to think about this from the start of any project that is to be implemented. Let me explain myself: one of the greatest problems that I have had personally when wanting to assess a practice, experience or project has been the lack of necessary data, problems of design and the lack of knowledge regarding the adequate methodology needed to do it. Therefore, my advice would be to start any new project by planning what you want to achieve and what you need to measure in order to know whether you have been successful or not. Methodology is basic in the field of assessment and that is the expertise of the AQuAS. What reasons would you give the centre to take on this approach? I consider that knowing the results of what we do is basic for our organisations so that we are aware of the value it has, what it offers us, whether we should continue doing it, whether we can apply it to other areas of care, whether we should forget about it and change it for other practices or whether we can improve it. 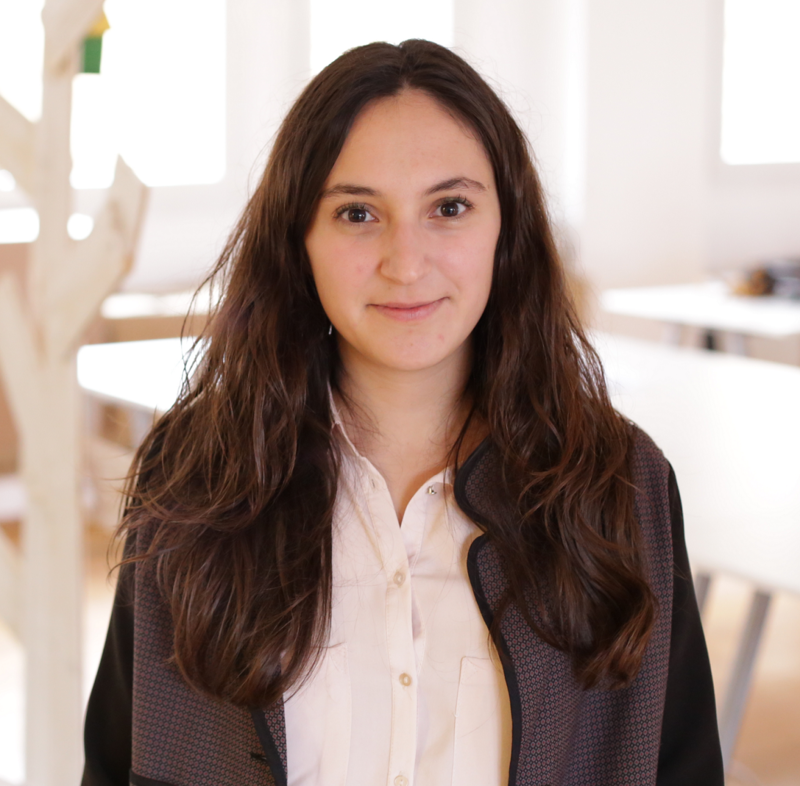 Interview by Clàudia Pardo (@Claudiia_Pardo), Induct (@InductES).